On April 3rd , 2019, at about 12:00pm, Seneca County Sheriff’s Investigators arrested Rachel R. Wade , age 38, of 4391 Wolcott Spring Lake Road, Wolcott, New York, following a welfare fraud investigation. Wade was charged with Offering a False Instrument for Filing in the First Degree and Welfare Fraud in the Fifth Degree. It is alleged that Wade failed to disclose that members of her family were not residing with her while receiving monetary benefits from Seneca County. Wade was released on an appearance ticket and is to appear in the Waterloo Village Court on May 1st, 2019 at 5pm. 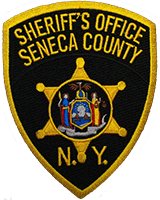 The Seneca County Sheriff’s Office reports that on March 13th 2019, around 10:00am, the Narcotics Unit arrested Jedediah J. Shaw, age 37, of 1875 Auburn Road, Seneca Falls, New York, on a charge of Criminal Nuisance in the Second Degree. The arrest stems from a search warrant that was executed at 25 Peterman Road, Apartment B2, on February 6th 2019 in the Town of Seneca Falls where numerous items related to drug sales were seized. As a result of the ongoing investigation, it is alleged that Shaw knowingly maintained the apartment and allowed drug activity to take place. Shaw was taken into custody and was transported to the Seneca County Correctional Facility. Shaw will be arraigned at CAP Court at 7:00pm. The Seneca County Sheriff’s Office reports that on March 11, 2019 at 4:00 AM, Deputies arrested Andy Cruz-Delgado, 38, of 79 Copeland Street, Rochester NY, in the Town of Ovid, for Aggravated Unlicensed Operation in the 3rd degree and Unlawful Possession of Marihuana. It is alleged that Cruz-Delgado was in Possession of Marihuana following a routine traffic stop for Speeding. Cruz-Delgado was released on appearance tickets and is to appear in the Town of Ovid Court on April 23, 2019 to answer the charges. The Seneca County Sheriff’s office reports that on March 2nd, 2019, at approx. 10:30pm, Deputies arrested Teagan A Jahna, 24, of 32 East River Street, apt #4, Waterloo, New York. Jahna was charged with Aggravated Driving While Intoxicated, Driving While Intoxicated, Leaving the Scene of a Property Damage Accident, Moving from Lane Unsafely, and Refusal to Submit to a Breath Test. The arrest stems from an investigation into a one car property damage accident where Jahna was found to be traveling southbound on Whiskey Hill Rd and left the east shoulder of the roadway striking two trees and a mailbox. Jahna had attempted to flee the scene and was located a short distance from the accident. Jahna suffered no injuries, but the vehicle suffered extensive damage and was towed from the scene. Jahna was committed to the Seneca County Correctional Facility and held awaiting arraignment. The Seneca County Sheriff’s Office reports that on 03/01/19 at approx. 5:08pm, Deputies arrested Cody Colegrove, 25, of Binghamton, New York, and Morgan Hyde, 17, of Vestal, New York. The arrests stem from a traffic stop where Deputies stopped the vehicle that Colegrove was operating for expired inspection. Upon investigation, Deputies discovered that Colegrove’s driver’s license was suspended. Deputies also discovered the passenger, Hyde, to be in possession of a quantity of marijuana. Colegrove was released on uniform traffic tickets for Uninspected Motor Vehicle and Aggravated Unlicensed Operation in the Third Degree. Hyde was released with an appearance ticket for Unlawful Possession of Marijuana. Both parties are to appear in the Romulus Town Court on April 12, 2019 at 10:00am to answer the charges.